Rather than design a new phone specifically target the middle and lower segment, Apple simply keeps manufacturing and supporting previous years’ iPhones, which can be made at a lower cost as Apple squeezes down their component and assembly costs over time. 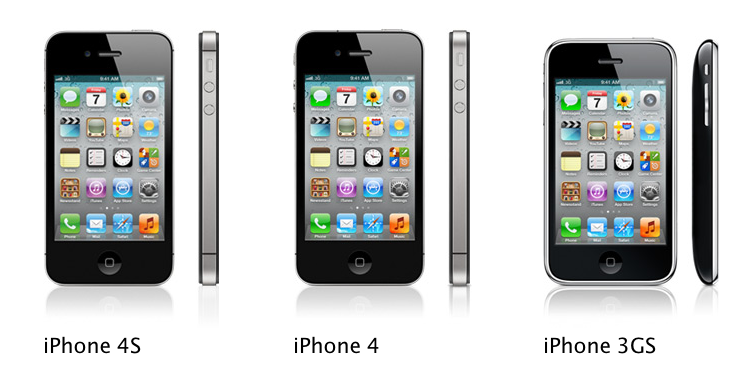 To wit, Apple now sells the 2010-vintage iPhone 4 and the 2009-vintage 3GS alongside its brand new iPhone 4S. There are many advantages to this strategy. Apple saves itself from the considerable engineering cost and effort of designing dozens of phones (and issuing specific software updates for them), and greatly simplifies its logistics with a smaller number of SKUs (Samsung has an astonishing 136 phones currently for sale, and that’s just in the United States). If price were the only factor in making a phone suitable for the proverbial “next billion” or “bottom of the pyramid,” or whatever you want to call the vast majority of people who don’t live in the developed world, Apple’s strategy would be fantastically clever. Unfortunately, reality intervenes: Apple’s iPhones simply aren’t developing-world-friendly. This isn’t mere conjecture; I spent 2 years working in India. The heat, humidity, dirt and dust, shocks and jostles, and the occasional monsoon make quick work of iPhones, whether you have them in a case or not. Of my class of half a dozen recruits, 3 of us arrived in India with iPhones, and all 3 of us had them break somewhere along the way. When my 3G bought the farm, I replaced it with a 3GS, which still managed to have its headphone jack fail, its dock connector warp, and its volume rocker mysteriously fall off in my remaining months in India–to say nothing of the white plastic housing that developed cracks and began to separate from the phone’s front. And even before it broke, my iPhone’s speaker was simply too small to really be heard in India’s crowded streets. The developing world is where Apple’s iPhone pricing strategy–and the iPhone itself–falls apart. Normally when one is looking to counter criticism of a particular Apple product or strategy, we can point to a chart of Apple’s gangbusters sales growth and profits as a rather effective counterpoint (“you may think not having flash in iOS is a dealbreaker, but evidently a hundred million iPhone customers disagree”). Alas, the naysayers have the upper hand when it comes to Apple’s strategy in India, where Apple sold a whopping 62,000 iPhones–fewer than it sold in such demographic giants as Belgium, Norway, and Israel. The phone itself needs to be designed for the developing world with improved resistance to dust and moisture, louder speakers, and other features more appropriate to the wants and needs of the market beyond merely having the right price. Selling last year’s phone at a lower price is only addressing half the problem, which is why Apple continues to lose out to Android, Nokia, and RIM (RIM!!!) in India. This entry was posted in business, Uncategorized and tagged India, iPhone, Nokia by John Kneeland. Bookmark the permalink. I m still not able to understand the India strategy, may be because there isn’t one. It is a very large market, even larger than some of the EU states, hope they fix things here soon. Even if they keep the prices same as USD, they cater to would be able to cater to millions in the rising middle class in the country. Right now it seems samsung is gonna dethrone nokia in India in next couple of years. Fact: Apple still does not have an Apple store in India (June 2012). It still operates through 3rd party re-sellers.